It's no big secret that high-end smartphones are aging significantly better these days than they used to a number of years ago, which explains why people generally hold on longer to their daily drivers, causing the global market to contract. At the same time, bargain hunters have a lot more choice in the sub-$400, sub-$300, and even sub-$200 categories, as old but respectable handsets tend to get massive discounts that keep them in the limelight against newer but humbler models. On that note, the 2017-released LG V30 has been making quite a few headlines lately at heavily marked-down prices ranging from $250 to $380. The newest deal on this stunning 6-incher with a powerful Snapdragon 835 processor under the hood doesn't technically bring its price down to a record low. But for just 50 bucks more than a somewhat sketchy "new other" unit with "minor blemishes" on it, you get a completely new V30 in its original packaging. These devices on sale from top-rated eBay merchant Qualitycellz are unused, unopened, and undamaged, but on the not so bright side of things, they don't come with a valid US warranty. Available at $299.99 a pop, they're listed as "AT&T unlocked" units, which means you should be able to use them on your GSM network of choice, be it AT&T or T-Mobile, with full 4G LTE support in tow. As always, you may need to hurry, since eBay advertises a "limited quantity available", and there are very few phones that can compare to the V30 at 300 bucks. This bad boy's stellar 2017 review highlighted great battery life, silky smooth performance, excellent camera prowess, and a premium design, all of which remain valid points in a new price bracket. The closest thing to a competitor would probably be the Galaxy Note 8, which is a lot costlier on eBay. I grabbed a 9/10 condition V30 T-MOBILE variant unlocked (supports band 71 600 MHz) for $235. Actually got rid of my G7. Great value. A OnePlus 5T costs about the same, but is a far better device. There's just no justifying LG devices anymore especially with LG's questionable device quality and reliability. He's been on a tear trolling LG on practically every recent LG article. He will even dismiss the facts that you placed before him with that link, choosing instead to pass his opinion as if it's superior to actual facts. He even tried to say that the Motorola X4 is better than the V30. The only tears I see is the tears coming from your comment. You just can't stand the fact that I'm calling it like I see it. I'm not just mindlessly attacking LG. Unless you have a compelling reason to why I'm wrong to call out LG then I suggest you to play the quiet game. Lmao you’ve been crying on almost every LG article just like you are this one. You just can’t deal with the fact that people are calling you out on your BS concerning LG. You are attacking them for no good reason, just like you do BlackBerry, Nokia, and Huawei. You’re calling LG out for things that no longer happen on their smartphones, like bootloop. LG high end smartphones usually get good to great reviews, and perform very well, especially the V Series. You haven’t used a recent LG smartphone and have been attacking them for things that no longer happen. There's no "people" doing anything. It's just you whining as usual. You don't even have an LG phone, yet you think that makes you qualified to come in and try to force your opinions on someone. You are clearly blind to the truth about LG phones. Get over it and stop trying to pick a fight. People have called you out for your unwarranted bashing. You're the only one crying on so many articles about smartphones you don't and never have used. I already posted the link to my imgur of the V35 that I own, but you always run away once I do that, afraid and embarrassed because I proved you wrong. 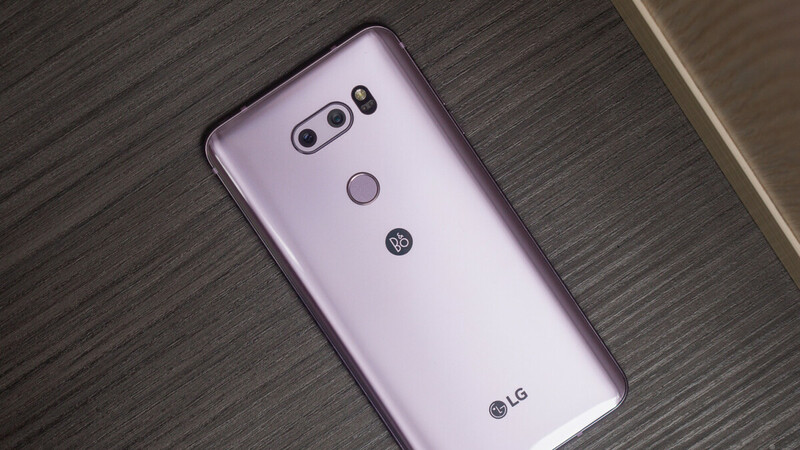 You are living in the last about LG smartphones, as their recent flagships are well reviewed, but you continue to live in denial about the evidence that's shoved in your face. You just keep trying to force your opinion on others, as opposed to speaking from experience about current LG smartphones like I am. You even had a fellow OnePlus user shut you down. Get over your trolling and stop trying to pick fights with those that favor LG. https://imgur.com/a/4qauJvu Once again, proof that I own the LG V35 ThinQ. I always post proof of ownership to prove you wrong. You never post any, because you don’t own what you claim to own. Instead, you rely on the copout response of “I don’t have to prove anything to you blah blah blah”. Now watch you run away from this article completely once you see this, or ignore and deflect from this evidence entirely. Don't give me that excuse. Every LG phone is apparently underrated. I've heard it before. I'll take a mostly stock flagship phone with still good specs over a questionable LG phone that has dropped in value by 70%. The 5T costs roughly the same as the V30 does right now, so of you’re going to say the price drop is a negative aspect of the V30, then the same applies to the 5T. The 5T is older than the V30 yet its value is still much closer to what it was when it was first released. You would have known that if you actually knew what you were talking about but you don't. That's only because it was priced low to begin with. Had it been priced higher, that would not be the case. You would know that if you actually knew what you were taking about, but you never do. No updates without an At&t sim. You can get around that, also the sim doesn't need to be activated for that to work, I actually have sims for all 4 of the major carriers, would just be once a month if I needed to do that. A cumbersome workaround. It's not worth the effort especially when it's an OEM that's not known for keeping their devices up to date. Got a refurbished lg v30+ off ebay last year for under $300.